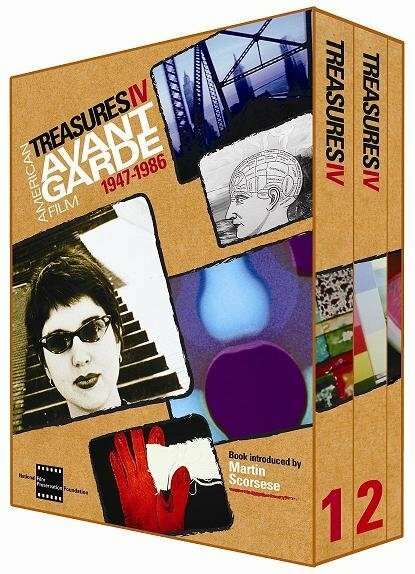 Treasures IV presents works by 27 filmmakers, from Bruce Baillie to Andy Warhol, who changed cinema in the decades following World War II. The line-up reads like a who\'s who of the avant-garde world and includes films by luminaries such as Stan BrakhageTreasures IV presents works by 27 filmmakers, from Bruce Baillie to Andy Warhol, who changed cinema in the decades following World War II. The line-up reads like a who's who of the avant-garde world and includes films by luminaries such as Stan Brakhage, Shirley Clarke, and Harry Smith as well as rediscoveries. Hollis Frampton's (nostaglia) and Marie Menken's Go! Go! Go! are among the films included on the set. Library, and the Pacific Film Archive and were expertly transferred. None has been available before in the United States on good quality DVD. Net proceeds will be split with the archives to support film preservation.